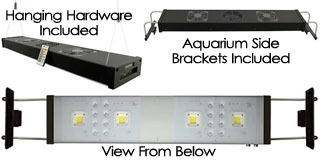 Or scroll down to view all vivarium lighting! These super inexpensive bulbs are perfect for growing plants in smaller vivariums & terrariums. 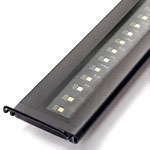 These can be used in just about any common fixture with an appropriate wattage rating. We use these on a few of our vivariums at the store and in our breeding facility. 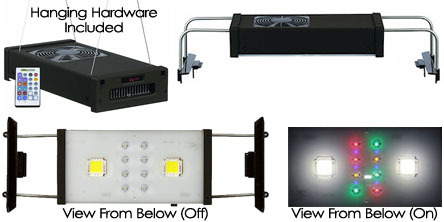 Depending on the brand available to us at the time, color temp ranges from 5000K-6400K, which provides an ideal spectrum for viewing & plant growth. 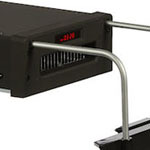 Available in 13W for enclosures 13" & shorter, 18W for enclosures 13-18" high, 23W for enclosures up to 24" high, and 32W for horticultural or custom applications. 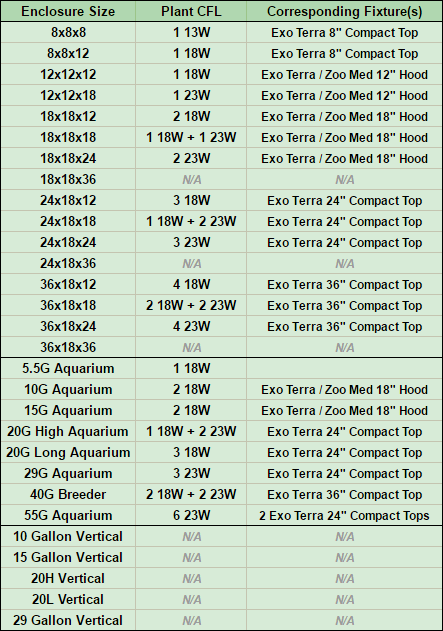 The 13W, 18W, and 23W models fit all sizes of Exo Terra Compact Tops and Zoo Med Hoods. 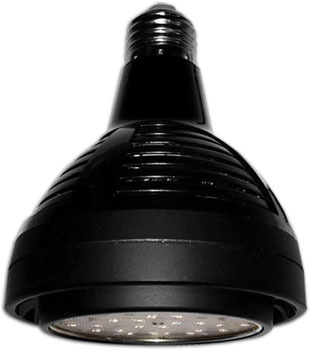 The ultra high output 32W CFL must be used in a suspended deep dome fixture due to it's size & considerable heat output. 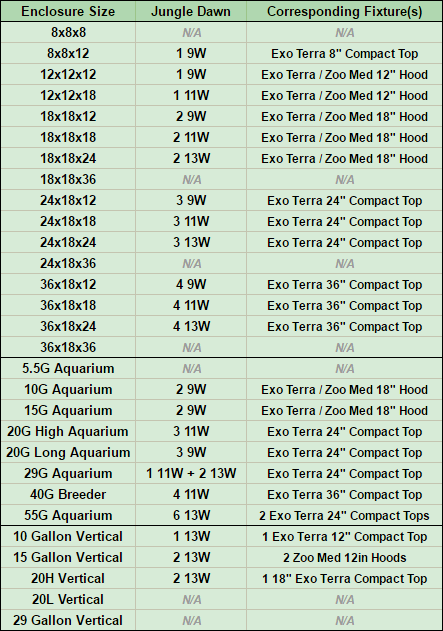 Plant Growth CFLs are available at a discount in all Vivarium Lighting Kits for enclosures ranging from 8-24in tall! 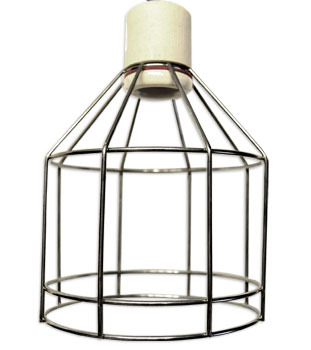 We haven't included the AgroSun Horticultural 32W CFL in the suggestions, since an (expensive) deep dome fixture and light stand would be necessary for using it. 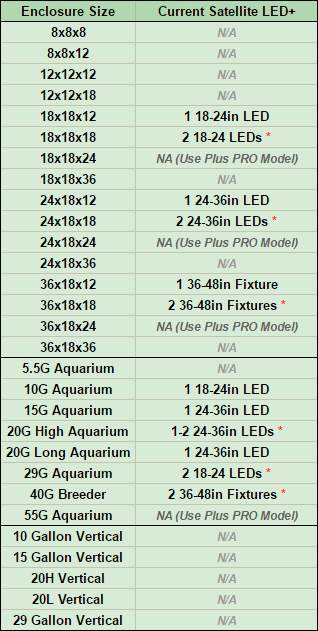 (One of our LED options will perform better for about the same price!) 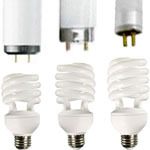 The 23W model is the best bang for your buck CFL, unless you've already got a deep dome & lamp stand lying around. 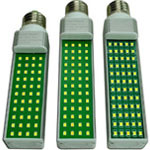 T5HO replacement tubes offer plenty of light output at a great price. 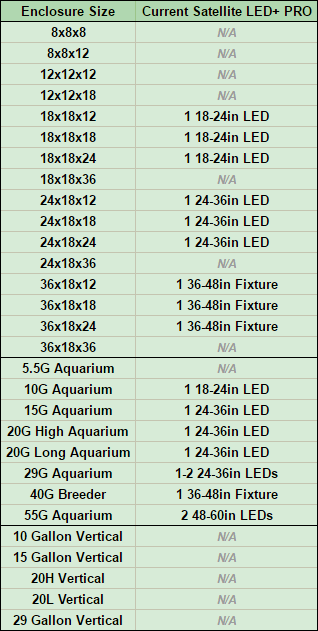 Daylight 6400k full spectrum light, rated for 20,000 hours of life, and compatible for all 24in & 48in T5HO fixtures we offer. These are the same great bulbs we've always carried, and the same T5HOs used in our Grow Rooms. 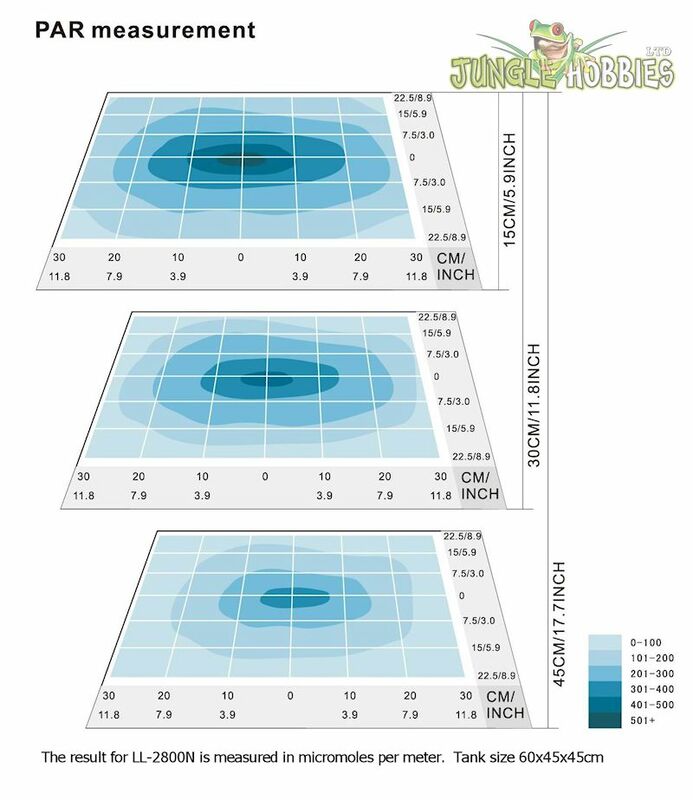 (Visit gallery) With prices raising at our supplier, to keep our prices as low as they are, we've begun purchasing these in bulk direct from the manufacturer without the old glossy color retail boxes. 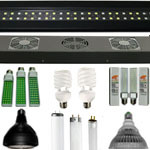 The ideal bulb replacements for the Jump Start T5HO Fixtures & Zoo Med T5HO fixtures we carry. 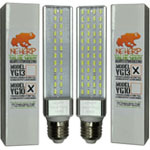 If you've bought plants from NEHERP, you've already seen what these bulbs can do!